With over 4,400 offices in 71 countries, the Hong Kong Shanghai Bank (HSBC) is one of the world’s largest banking and financial services organizations. On December 11, 2012, the New York Times featured an editorial titled “Too Big to Indict.” The article’s provocative title deliberately reflected the sentiment surrounding the Department of Justice’s decision to refrain from prosecuting HSBC to the full extent of the law, instead opting for a deferred prosecution agreement (DPA). A DPA is an alternative to adjudication “whereby the prosecutor grants amnesty in exchange for the defendant’s agreement to provide full cooperation in the investigation and to fulfill certain requirements including the payment of fines.” Under this agreement, sometimes referred to as “Club Fed Deferred,” HSBC would be subject to asset forfeitures, penalties, external oversight, and held accountable to improve internal controls. This agreement was the result of a five-year investigation conducted by the Department of Justice, revealing HSBC’s “stunning failures of oversight” and a “record of dysfunction that prevailed at HSBC for many years.” Specifically, HSBC failed to monitor $670 billion in wire transfers. As a result, HSBC helped process at least $881 million in drug trafficking money and $660 million worth of prohibited transactions from sanctioned countries. Under the DPA, HSBC would forfeit $1.256 billion and pay $665 million in civil penalties, the largest penalty ever imposed on a bank at the time. Nevertheless, commentators criticized this use of a DPA as a weak method of promulgating deterrence. These critics argue that without the threat of criminal charges, penalties, and forfeitures simply become a cost of doing business. In this light, Professor Jimmy Gurulé, a former enforcement official at the U.S. Treasury Department, stated that granting a DPA in a case as egregious as HSBC’s makes a “mockery of the criminal justice system.” On the other hand, prosecutors have suggested that these agreements have become an important middle ground between prosecution and declination for white-collar criminal law enforcement. The Department of Justice brought a four-count felony charge against HSBC for willfully failing to maintain an effective anti-money laundering (AML) program, willfully failing to conduct due diligence on its foreign correspondent affiliates, and violating the Bank Secrecy Act (BSA), the International Emergency Economic Powers Act (IEEPA), and the Trading with the Enemy Act (TWEA). HSBC utilized compliance as an advisory, rather than controlling, function, resulting in the structural deficiency that caused these willful failures and violations. As a result, HSBC’s compliance division lacked the resources and the influence necessary to meet industry anti-money laundering standards. Furthermore, the Department of Justice showed that HSBC’s compliance protocols were highly fragmented and lacked global consistency. In particular, HSBC implemented compliance standards at a national level, creating a lack of accountability and confusion among its employees. HSCB’s failure to conduct due diligence on correspondent bank accounts violated requirement of the Bank Secrecy Act and exacerbated the problems associated with compliance deficiencies. 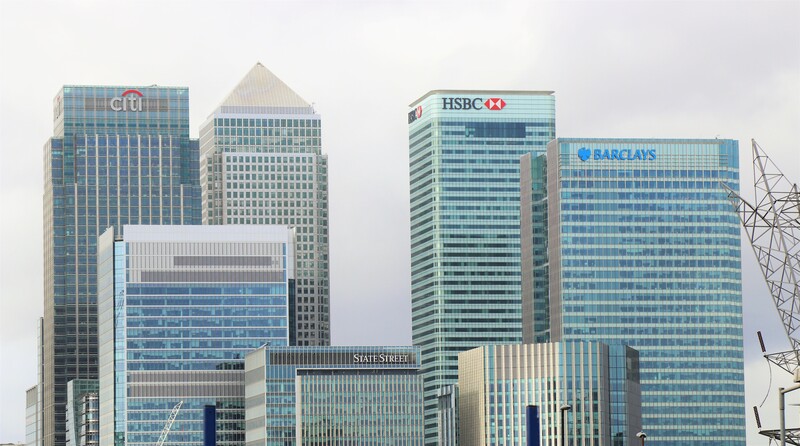 Correspondent bank accounts are particularly problematic because they are accounts that are set up to make or receive payments from individuals or organizations with which the domestic branch does not have a direct relationship. As a result of these practices, HSBC was able to facilitate transactions for states under sanction such as Iran, Libya, Sudan, and Burma. A Senate subcommittee investigation revealed that HSBC conducted business with Al Rajhi Bank, a financial institution from Saudi Arabia with suspected ties to al Qaeda and violent extremists in Chechnya. Specifically, HSBC provided Al Rajhi Bank with the delivery of physical U.S. dollars through its banknotes department, which were then used in terrorist financing. Similar exploitations were widespread in HSBC’s United States and Mexico branches, which became involved in a money-laundering scheme dubbed the “black market peso exchange” utilized by the Sinaloa Cartel in Mexico and the Norte del Valle Cartel in Colombia. In this scheme, drug money was hauled across the border into Mexico, where it was then transferred into the U.S. through small correspondent banking wire transfers. While most U.S. banks understood and monitored these transactions, HSBC failed to appreciate these risks. The Department of Justice’s decision not to pursue criminal charges against HSBC was largely the result of British intervention. According to a House financial services committee report, George Osborne, a member of the British Parliament, and other banking regulators intervened, warning that prosecuting Britain’s largest bank could lead to a “global financial disaster.” Specifically, they warned that prosecuting a “systemically important financial institution, such as HSBC, could lead to financial contagion and pose serious implications for financial and economic stability.” The House report demonstrates that, contrary to what the Department of Justice stated, its decision not to pursue criminal charges was not the result of insufficient evidence to prove HSBC’s criminal conduct. In light of these circumstances, the Department of Justice’s decision to pursue a deferred prosecution agreement suggests a calculated decision to strike a balance between indicting a corporation and not pressing charges at all. While this decision was heavily criticized, DPAs have steadily become an important tool for the Department of Justice to curtail white-collar crimes. This trend is evident in comparing the numbers of DPAs between 1992 and 1999, which saw twelve DPAs, compared to 2000 and 2012, which witnessed 245 DPAs. Additionally, the use of DPAs seems to be favored among federal prosecutors because it allows them to obtain major victories through substantial financial penalties, without imposing disastrous collateral damage on the domestic economy. Although a DPA seems to suggest an escape from indictment and a degree of leniency, corporate entities are strictly monitored and subject to severe consequences. Specifically, any future violation during the duration of a DPA automatically triggers a criminal conviction. While much of the literature opposing DPAs has centered on issues concerning deterrence, the recent rise of DPAs has challenged traditional notions of the criminal justice system. In this regard, DPAs were originally intended for non-violent drug offenders and low-level criminals. The current use of DPAs for white-collar crimes, however, has contributed to an ever-growing rift between the way the criminal justice system treats the poor and the way it treats the wealthy. Nevertheless, despite the on-going debate and criticism surrounding the use of DPAs, this practice is unlikely to go away, as DPAs have become increasingly important in the prosecution and defense of corporate white-collar cases. HSBC, Our Purpose, http://www.hsbc.com/about-hsbc/our-purpose. (last visited Apr. 21, 2017). Opinion Pages, Too Big to Indict, N.Y. Times, (Dec. 11, 2012), http://www.nytimes.com/2012/12/12/opinion/hsbc-too-big-to-indict.html. Len Lyons & Audra Marino, Deferred Prosecution Agreements, Non-Prosecution Agreements, and Monitoring Services, Marcum, http://www.marcumllp.com/insights-news/deferred-prosecution-agreements-non-prosecution-agreements-and-monitoring-services (last visited Apr. 21, 2017). Peter R. Reilly, Justice Deferred is Justice Denied: We Must End Our Failed Experiment in Deferring Corporate Criminal Prosecutions, 2015 BYU L. Rev. 307, 307–09 (2015). James O’Toole & Charles Riley, HSBC pays $1.9 billion to settle US probe, CNN Money (Dec. 11, 2012, 2:25 PM), http://money.cnn.com/2012/12/10/news/companies/hsbc-money-laundering/. Office of Pub. Affairs, HSBC Holdings Plc. and HSBC Bank USA N.A. Admit to Anti-Money Laundering and Sanctions Violations, Forfeit $1.256 Billion in Deferred Prosecution Agreement, U.S. Dep’t of Justice (Dec. 11, 2012), https://www.justice.gov/opa/pr/hsbc-holdings-plc-and-hsbc-bank-usa-na-admit-anti-money-laundering-and-sanctions-violations. Carrick Mollenkamp, HSBC became bank to drug cartels, pays big for lapses, Reuters (Dec. 11, 2012, 10:54 PM), http://www.reuters.com/article/us-hsbc-probe-idUSBRE8BA05M20121212. See Too Big to Indict, supra note 2. See Reilly, supra note 5, at 309. See Office of Pub. Affairs, supra note 7. Justin O’Brien, The Sword of Damocles: who controls HSBC in the aftermath of its deferred prosecution agreement with the United States Department of Justice?, 63 N. Ir. L. Q. 533, 533–42 (2012). U.S. Senate Permanent Subcommittee on Investigations – Committee on Homeland Security and Governmental Affairs, U.S. Vulnerabilities to Money Laundering, Drugs, and Terrorist Financing: HSBC Case History, 6–239 (2012). Rupert Neate, HSBC escaped US money-laundering charges after Osborne’s intervention, Guardian (July 11, 2016, 3:36 PM), https://www.theguardian.com/business/2016/jul/11/hsbc-us-money-laundering-george-osborne-report. Ellis W. Martin, Deferred Prosecution Agreements: “Too Big to Jail” and the Potential of Judicial Oversight Combined with Congressional Legislation, 18 N.C. Banking Inst. 457, 457–79 (2014). Paolo C. Henry, Individual Accountability for Corporate Crimes After the Yates Memo: Deferred Prosecution Agreements & Criminal Justice Reform, 6 Am. U. Bus. L. Rev. 153, 153–67 (2016). See Martin, supra note 31, at 461. See O’Brien, supra note 15, at 536. See Henry, supra note 32, at 167. Eugene Illovsky, Corporate Deferred Prosecution Agreements – The Brewing Debate (Summer 2016), http://www.americanbar.org/content/dam/aba/publishing/criminal_justice_section_newsletter/crimjust_cjmag_21_2_corporatedeferred.authcheckdam.pdf. Next Article Non-Refoulement in the International Refugee Law Regime: A Lex Specialis?